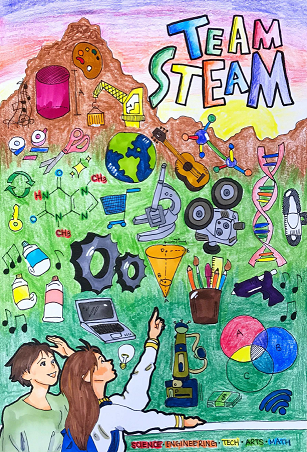 This year’s teen art contest, challenged artists to explore the theme of STEAM. Thank you to the art contest judges: library staff members Catherine Hany and Erik Hernandez, and Teen Advisory Board members Denisse Anderson, Genevieve Harvey, and Carolyn Sam. 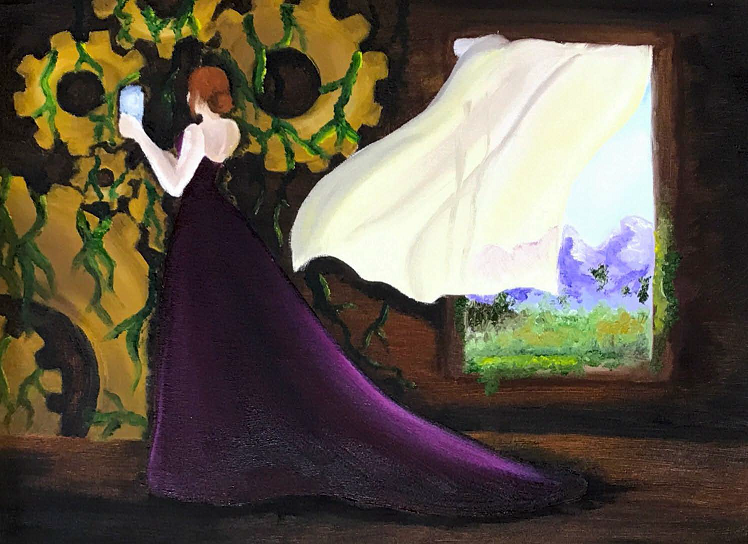 The original artwork is on display in Teen Central at Central Library through the month of August 2018. 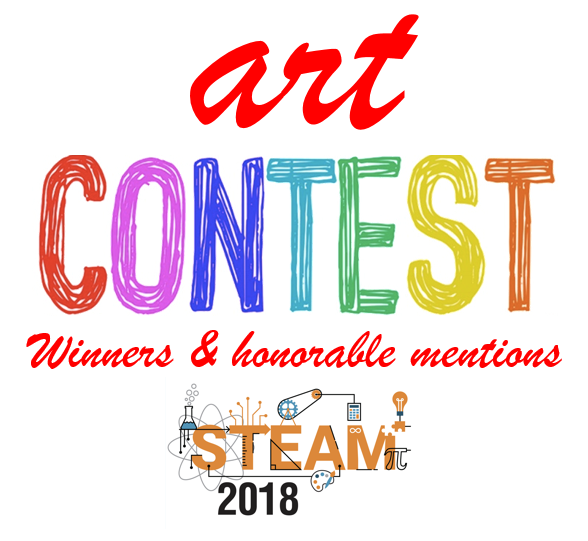 The first place and runner-up artwork will have a cover features in an upcoming issue of the Teen Zine, our bi-annual mini magazine, and the honorable mentions will be featured in the zine as well. Jenny wins a free ArtCenter for Teens class, valued up to $400, and sponsored by ArtCenter College of Design. This is by far the highest voted on most creative and memorable. It incorporates the best use of the STEAM concept, with a myriad of well-chosen distinct images and symbols. 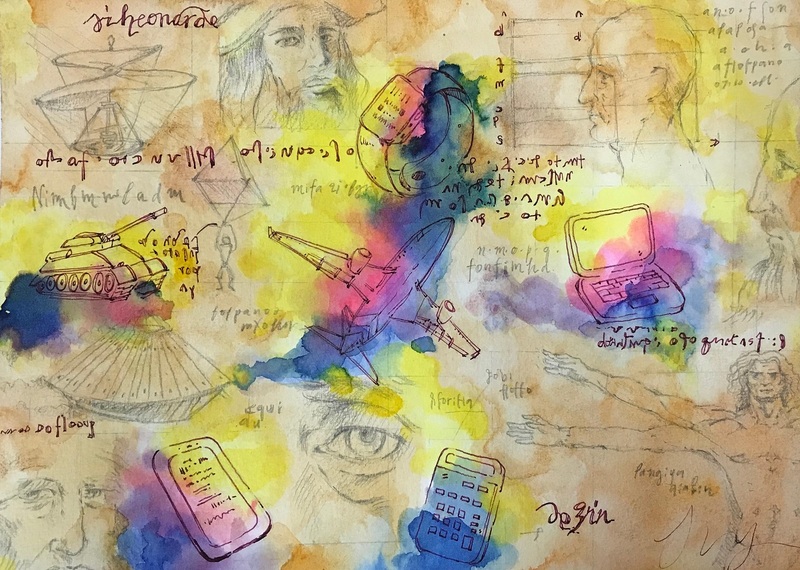 The watercolors draw the eye in to the inked images—but doesn’t overpower the piece. It’s also interesting how modern technology is juxtaposed with images that represent early sciences. It’s elegant, yet wonderfully chaotic. Whimsical, nostalgic, and inspiring. Analisette wins a $100 visa gift card. This is stunning. It’s dramatic, engaging, and draws viewers in. It has great balance and contrast—a unique interpretation of the STEAM theme. 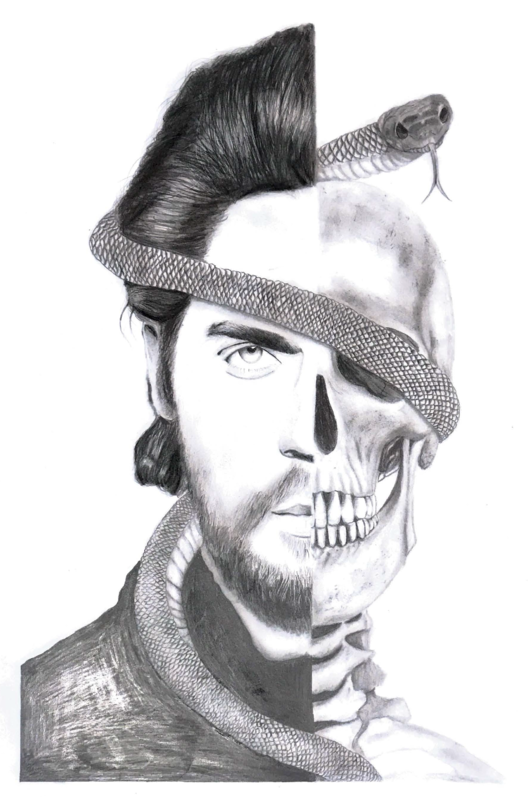 Sketched entirely in pencil, this exhibits the superb skill of the artist. It’s absolutely breathtaking. Thank you, Jane, and contest judges! I am so happy to receive Honorable Mention. Congratulations to all of the other artists. 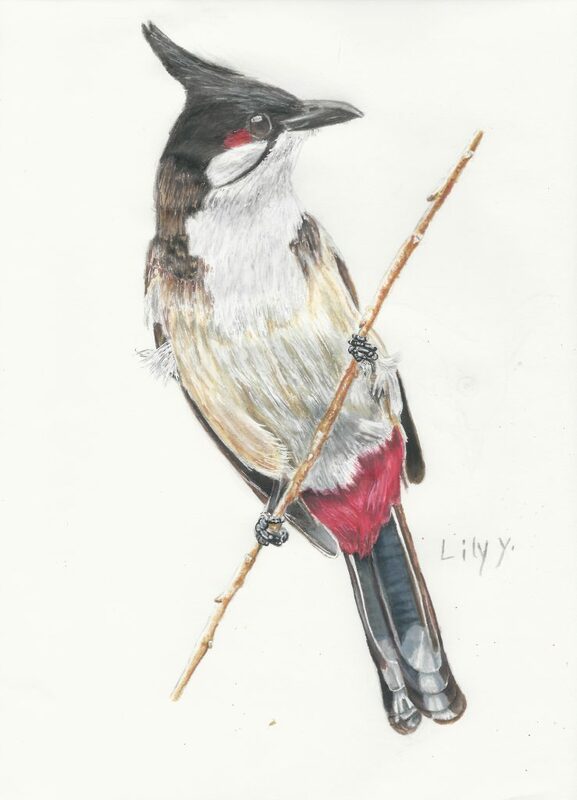 Your art is so beautiful!